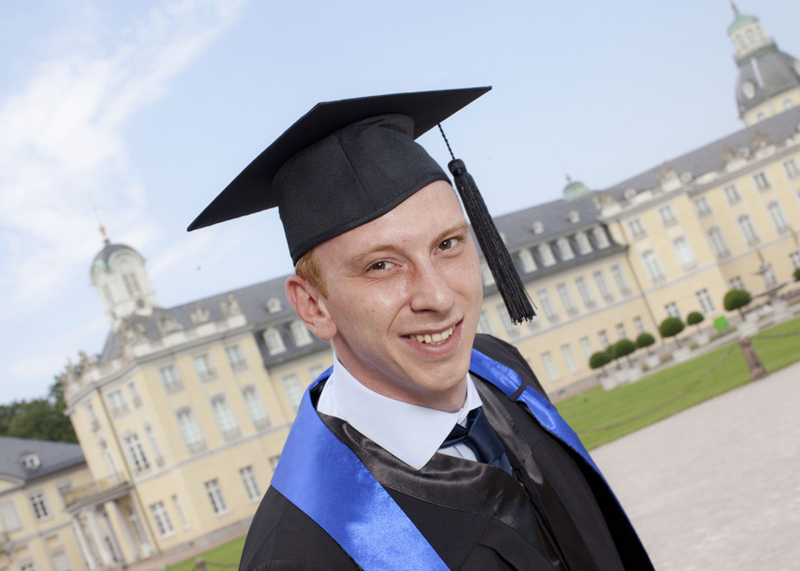 I studied Computer Science at the University of Applied Science Würzburg-Schweinfurt. Parallel to my studies, I decided to find a job. But in the end it was not one, but three jobs simultaneously. My first job in an IT department was at NKM Noell Special Cranes GmbH, a company designated building specialized cranes for nuclear power plants and shipyards. I was employed in the headquarter's IT department, focusing on software automatization, employee support, network architecture, and corporate software in general. My second employment was as a Junior Assistant for Programming 2 (Java) and Statistics at my university, teaching other students and doing additional cases. My task as a freelancer in Basel at Arcondis AG, an IT Strategy Consulting company, was the analysis of its requirements to fit to standard ERP (Enterprise Resource Planning) and Project Management Software. At SAP PLM Consulting I interned for 6 months in my fifth semester, quitting all other jobs. Fortunately, MLP let me join the MLP Talent Network after completing numerous Assessment Centers. Furthermore, MLP established a direct link to SAP, one of my most preferred companies at that point in time. Apart from my internship, I became part of the MLP Talent Network Board, in order to improve the communication between MLP and their students. After my internship I got the opportunity from SAP to work in the PLM consulting division as a working student and afterwards writing my Bachelor Thesis there. It was about the analysis of the new authorization concept in SAP PLM 7.0 and the customer´s satisfaction. All my career decisions, also during my studies, led to an executive Master. I very much wanted to do it extra-occupationally. Fortunately, I found the Master@IBM program via the internet, applying 10 minutes before deadline shortly before midnight. With this scholarship I was able to study at the HECTOR School of Engineering and Management (KIT), but just for two weeks 10 times in total. Although studying, I was able to work in IBM's consulting division nearly full-time. With this decision, I was not obliged to worry neither about jobs, nor about a constant salary. In my Master Program in Service Management & Engineering I was able to deepen engineering know how, but on top, I could gain first insights in economic topics. I think nowadays it is very important for professionals deciding to start with a technical career and go on with a management career to get familiar with economical aspects as early as possible. My Master Thesis was about defining a general process model for business process mobilization. That led me to my business emphasis on SAP Mobility, a very fast growing area in business software environments. After my studies in 2011 I have worked as Senior SAP Technology Consultant in the Technical Project Management division of IBM. My main duties were Software Architecture, Team Leading, and Technical Project Management on diverse international projects. Moreover, I was nominated as global SME (Subject Matter Expert) within IBM regarding SAP Mobility conducting several international class-room trainings. Since April this year, I work at MSC Mobile as a Project Manager. And I am curious how my career will develop in the upcoming years.